Public Health England (PHE) is encouraging people across the area to enjoy the countryside over Easter, but has warned that good hand hygiene is needed to help reduce related gastro-intestinal infections. At this time of year, as people are starting to venture outdoors more, Public Health England typically see an increase in gastro-intestinal infections associated with activities including farm visits. In 2017 between January and March, there were 20 cases of Cryptosporidium and 19 cases of Cryptosporidium for the same period for 2018 with potential links to a farm. Cyptosporidium is a disease that causes mild diarrhoea. With these figures in mind, it’s a good time to remember that washing hands properly after using the toilet and before eating food is a healthy habit to adopt. Having the right hand washing facilities at the right height and in the right place is particularly important to encourage hand washing. The best farms in the South West have facilities based in a practical place and hot water and soap readily available. To make it easier down on the farm to time how long you have washed your hands for, simply recite a single verse of nursery rhyme favourite Old Macdonald which takes around 20 seconds. Children should always be supervised when washing their hands. 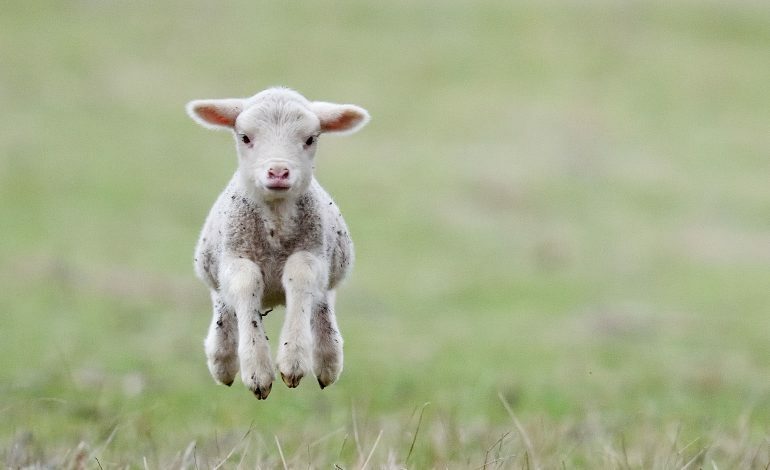 It’s also important to be aware that lambing season runs from January – April, so if you are pregnant and visiting a farm during Easter, it’s important to remember to avoid close contact with lambs and sheep. PHE know that some infections can be passed from sheep to humans and if a pregnant woman becomes infected, it could harm her and the unborn child. Dr Toyin Ejidokun, health protection from Public Health England South West said: “Visiting a farm is an enjoyable and educational experience for many people, particularly children. “However, visiting a farm carries a small risk of catching infection from animals or the environment. “Farm animals can be the source of several bugs that can be passed from animals to humans and cause illness. Some can be particularly serious for children or pregnant women. “Infection can be picked up from the animal’s body, its poo or from areas where animals have recently been. If the germs are on your hands, you could accidentally pass them to your mouth. You can’t see the germs, so your hands may appear clean. “Washing your hands thoroughly with soap and hot water immediately after you have had contact with animals will reduce the risk of infection. Following the simple rules listed below will help to keep you and your children safe from infections that may be found on open farms. Pregnant women need to take particular care as infections acquired from animals can be harmful to them and their unborn baby. Do wash your hands thoroughly with soap and water after you have touched animals, fences or other surfaces in animal areas. Do wash your hands thoroughly with soap and water before eating or drinking. Do remove and clean boots or shoes that might have become soiled and clean pushchair wheels. Then wash your hands thoroughly with soap and water. Do supervise children closely to ensure that they wash their hands thoroughly. Do eat and drink in picnic areas or cafes only. Do not put hands on faces or fingers in mouths while petting animals or walking round the farm. Do not kiss farm animals or allow children to put their faces close to animals. Do not eat or drink while touching animals or walking round the farm. This includes not eating sweets, crisps or chewing gum. Do not eat anything that has fallen on the floor. Do not use gels or wipes instead of washing hands with soap and water. Gels and wipes do not remove bugs in dirt.